Daymor 1033 Style Mother of the Bride Dress is HOT!!! Every so often in the mother of the bride dress industry a dress comes along that everybody loves! That dress is here right now and EVERY retail store that carries Mother of the Bride dresses needs to have this dress in stock! The price is right, it sizes up to size 22 and comes in LOTS of colors!!! It is a very versatile mother of the bride dress as you can actually wear the top separately with a shorter cocktail shirt or pants! It is a big hit right now! 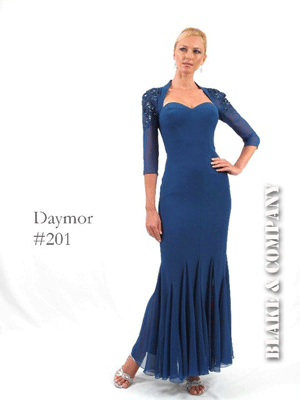 If you are in the market for a special occasion dress or mother of the bride dress this season be sure to check out Daymor Couture’s new collection for Blake and Company. You won’t be disappointed. Daymor’s new mother of the bride dress for Blake and Company was featured in a recent Brides.com article. Today’s brides are urged to reassure their moms that it is indeed possible to find stylish, non-matronly mother-of-the-bride dresses. Daymor’s mother of the bride line for Blake and Company proves that mother of the bride dresses can fit almost any price range. Brides.com was inspired by five real mothers of the brides to find mother of the bride dresses that suited their personal styles. A mother of the bride with a goal of looking modern should consider slim, fluid lines, a sophisticated hue, and a unique neckline. However, to ensure that the mother of the bride dress is modern, an unusual silhouette, neckline, or sleeve treatment carries more weight than the color of the special occasion dress. If the mother of the bride is looking for an elegant mother of the bride dress, a good suggestion is to go for a floor-length gown. The color of the mother of the bride dress that was recommended by the Brides.com article was a dark chocolate hue. Daymor’s taffeta dress style 1033 for Blake and Company was featured in the elegant mother of the bride dress section of the Brides.com article. Mother of the brides who are searching for something glamorous would do well selecting a black silk satin mother of the bride dress. Swarovski crystal embellishments were also suggested to make the mother of the bride dress truly stand out as luxurious. A strapless neckline and matching jacket may be just what the mother of the bride dress needs to achieve the glamorous look. Mother of the bride dresses are a key component of the wedding to do list. The mother of the bride has a very important role in the wedding. And as a mother of the bride, she wants to look her best for her daughter’s big day – after all – the mother of the bride generally gives the groom a glimpse into what he should expect his bride to look like in 30 years or so. This is not the primary reason to reason to select a mother of the bride dress that is elegant – but it doesn’t hurt. When should a mother of the bride start searching for a special occasion dress? A mother of the bride should start her search for a special occasion dress at least six months prior to the wedding. This will allow the mother of the bride to take her time in selecting something that is a good match. It is also important to give enough time for mother of the bride dress alterations. 1. Mother of the bride dresses should not be white, cream colored or anything close to white. It is important for the bride to stand out and to shine and a mother of the bride dress shouldn’t be close in color. 2. It is important for the mother of the bride to speak with the bride before selecting a mother of the bride dress. This conversation about the mother of the bride dress will reduce potential conflict and stress. 3. If possible, it is also a good idea for the mother of the bride to coordinate with the mother of the groom. A mother of the bride dress and mother of the groom dress that clash can be disastrous! The mother of the bride dress and mother of the groom dress shouldn’t contrast too much or be too similar either. In the Special Occasion Dress Industry 3 Weddings are Better than 1: Just Ask Shania Twain! We knew that 2011 would be a big year for celebrity weddings and special occasion dresses… and 2011 began on Saturday, January 1st with the first celebrity wedding of the year! That’s right, Shania Twain got things started off on January 1st 2011 as the country star tied the knot with Swiss Nestle executive Frederic Thiebaud. But it is doubtful that anyone was drinking hot chocolate as the wedding was held in sunny Puerto Rico (no passport was necessary). Besides the wedding dress, the wedding had its share of quality special occasion dresses. While there were just 40 of their closest family and friends, there were not too many special occasion dresses on hand – but the quality of those being worn by the guests in attendance must’ve been spectacular. 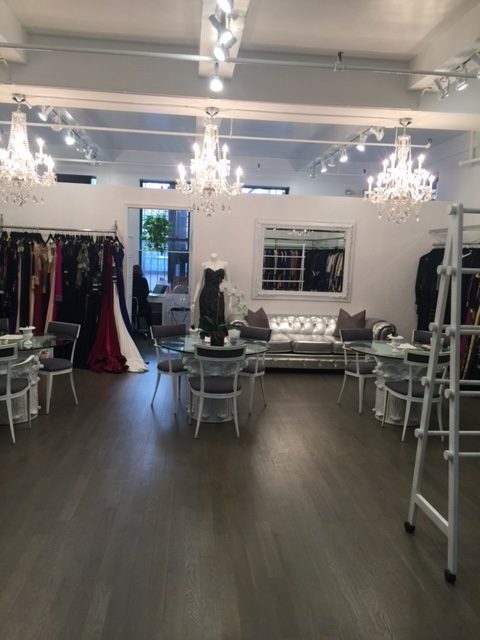 At Blake and Company’s New York City wholesale mother of the bride dress and special occasion dress showroom, we’re wondering if any of the guests opted to welcome 2011 with the first honeysuckle special occasion dress of the year. One thing is for sure – Marie-Anne Thiebaud wasn’t dressed in a special occasion dress for the wedding. In case you didn’t know, Marie-Anne Thiebaud is the ex-wife of Shania Twain’s new husband. But, it gets even stranger than that – Marie-Anne Thiebaud was Twain’s long time assistant who had an affair with and later married Twain’s first husband, Robert Lange. So, in an example of truth being stranger than fiction – in essence, the two couples switched partners. Anyway you cut it, in the special occasion dress industry – this is good news – it means 3 weddings – and that means triple the special occasion dresses!